Ben Affleck’s getting a new set of duds for the upcoming Justice League movie, but the costume looks eerily familiar. Dubbed the ‘tactical’ Batsuit, the reveal of the outfit from director Zack Snyder prompted fans to immediately make comparisons with another of the filmmaker’s superhero characters. Those pointy ears, the goggles – yes, this looks an awful lot like the Nite Owl garb from Watchmen. Has Snyder gone as far as ripping himself off? Or more specifically, ripping himself off after ripping off Watchman authors Alan Moore and Dave Gibbons… who in turn borrowed heavily from Batman when sketching out the Nite Owl character. It’s a tangled web that, frankly, will take some time to unravel. 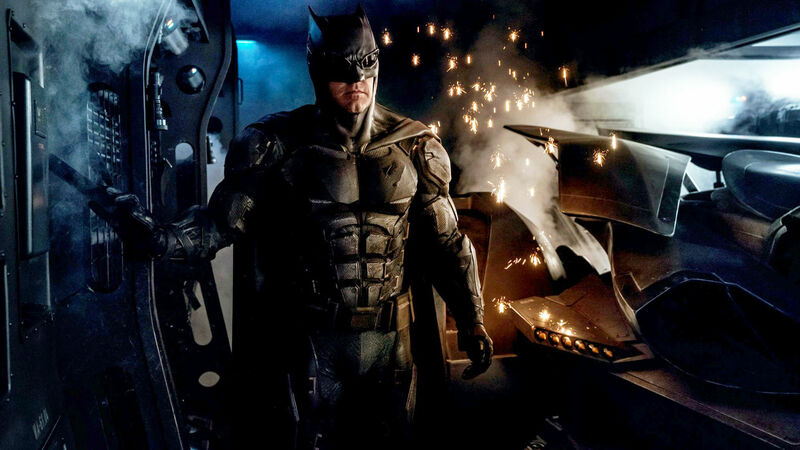 All that matters to social media is: ‘tactical’ Batsuit = Nite Owl. ok ok ok everybody's in a riot over Batman with goggles and looking like Nite Owl haha, but we're going to just let "Tactical Batsuit" pass? So earlier I compared the tech Batsuit to Nite Owl, but I meant it in a good way. NO is based on Batman! How is this spinned so negatively? The Justice League movie, starring Affleck, Gal Gadot, Jason Momoa and Ezra Miller, is due to land in cinemas on November 2017. Batman won’t be the only new hero getting a costume overhaul. It’s been rumoured that Henry Cavill’s deceased Superman will be brought back to life in a black and silver resurrection suit. Maybe black’s back in fashion this season?